5 Fun & Healthy Snacks You’ll Find at This Year’s Organic Alley Pavilion! Life is busy. We work hard, play harder and sometimes we just don’t have the time or energy to cook. So we reach for a snack…but not all snacks are created equal. Here’s our list of 5 fun and healthy snacks you’ll find at this years Organic Alley Pavilion! Zbar Protein, the newest creation from CLIF Kid. A delicious whole grain protein snack made with nutritious building blocks for kids’ growing bodies… so kids can keep zipping and zooming along. Made with organic whole grains, 5 grams of protein and 3 grams of fiber. Zbar Protein is available in three delicious flavors: Chocolate Chip, Chocolate Mint, and Peanut Butter Chocolate. Be sure to pick up one at the CLIF Kid booth Sunday. Take one bit, and you’ll swear they are Ritz. Spread it with your favorite goat cheese from Haystack and discover a winning combination! These superfood snacks made with love come in 6 Flavors: NEW Plum Vinegar and Sea Salt Dry Roasted Almonds, Maple Garam Masala Kettle-Roasted Pecans, Mango Chipotle Kettle-Roasted Almonds, Cinnamon Cayenne Kettle-Roasted Almonds, Cherry Vanilla Kettle-Roasted Almonds, and our favorite Chai Bliss Kettle-Roasted Almond! 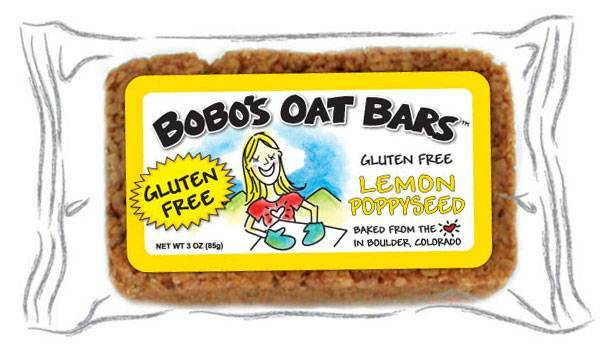 These Non-GMO Organic Oat bars come in 10 flavors, including 4 Gluten Free bars. The Peach Gluten Free should not be missed!